81 years, 10 months, 5 days old age. Raj Reddy will turn 82 on 13 June, 2019. Only 1 months, 25 days, 3 hours, 40 minutes has left for his next birthday. Raj Reddy has celebrated the total number of 81 birthdays till date. See the analysis by days count and bar graph. Raj Reddy was born on 13-06-1937 in Chittoor in the state of Andhra Pradesh, India. He is an Indian-American Scientist, Professor, Researcher & Chairperson. Raj Reddy (Dabbala Rajagopal Reddy), is the winner of the biggest Turning Award for his contribution to computer science. He is originally an Indian-American scientist. He has served Carnegie Mellon University and Stanford University as faculty. He helped in creating the Rajiv Gandhi University of Knowledge Technologies. He is the chairman of International Institute of Information of Hyderabad. In 1994, he received ACM Turning Award and became the first person to receive it from all over Asia for his brilliant contribution to Artificial Intelligence. The ACM Turning Award is considered as the biggest award in the history of Computer Science. Reddy completed his education by first getting his graduation degree from the University Of Madras, and then he received his master’s degree from University of New South Wales and finally a doctorate degree from Stanford University in Computer Science in 1966. First, he became an associate professor at Carnegie Mellon in 1973 and became a fully University professor in 1984. He created Human-Computer Interaction Institute and Language Technologies Institute when he was director and dean of School Of Computer Science. From 1999 to 2001 he was the co-chairman of President’s Information Technology Advisory Committee. He did many types of research and inventions in the field of Computer Science and Technology. Reddy also received many award honours in his lifetime. He received big awards like OKAWA and PADMA BHUSHAN. 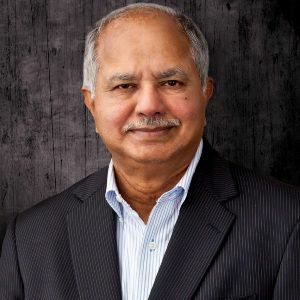 He has received many honours from Jawaharlal Nehru University, Indian National Science Award, Indian National Academy of Engineering and American Academy of Arts and Science.